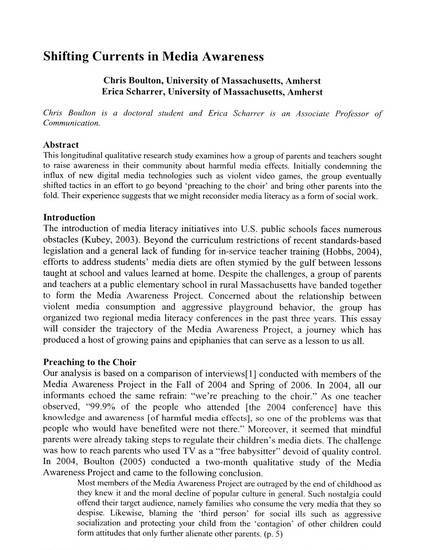 This longitudinal qualitative research study examines how a group of parents and teachers sought to raise awareness in their community about harmful media effects. Initially condemning the influx of new digital media technologies such as violent video games, the group eventually shifted tactics in an effort to go beyond ‘preaching to the choir’ and bring other parents into the fold. Their experience suggests that we might reconsider media literacy as a form of social work.